It’s easy to see the 83-year-old, arguably Britain’s best known living climber, as an establishment figure, but back when Bonington began serious climbing, its major figures were anarchic, ego- and adrenalin-driven individuals who would hop on the back of a Norton motorbike with an eye on a new peak, or crowd into two rickety Hillmans and travel back to Europe through the Middle East’s hotspots after an ill-tempered first ascent of Nuptse that included a brawl half-way up the mountain. Bonington himself came from what he describes as an emotionally unstable background with a lonely childhood and an unreliable father that meant his mother essentially brought up her son single-handedly. After a stint at Sandhurst, Bonington looked set for a management career selling margarine, but an encounter at a party with his wife-to-be was a pivotal point in his life. Within hours they were in bed together, married six months later and, with Wendy Bonington’s support, the future with Unilever was behind him and Chris was a full-time mountaineer. Partridge’s film, subtitled My Life Story, is Bonington’s autobiography told in front of the camera in an extended interview lasting a little over an hour and a quarter, with the visuals providing the backdrop to a remarkable life and a past era. The old ways of siege expeditions to the Greater Ranges, perhaps with a whiff of colonial arrogance, have long gone, and most climbs are now completed Alpine-style, without huge support parties, numerous camps, fixed ropes and all the paraphernalia that accompanied early ascents. Many of the stills that feature in this film are ones that have never featured in a movie before. There is also archive footage from several of the expeditions. Apart from one very important climb, when Bonington finally planted his own boots on the summit of Everest as part of a Norwegian-led expedition, all the Hampstead-born mountaineer’s ascents were first routes, either the first by a Briton, or more often the first by any team. There is also a grim roll-call of his expedition members who never made it back: Pete Boardman and Joe Tasker; Ian Clough; Mick Burke; Nick Estcourt; Don Whillans; Dougal Haston; Tom Patey; Al Rouse and Ian McNaught-Davis. A few who have survived to an older age, including Doug Scott, who broke both his legs on The Ogre in a descent in which Bonington also fractured his ribs, Paul ‘Tut’ Braithwaite and Hamish MacInnes are interviewed. I spoke to Bonington myself a few years ago and asked him if he had any idea why he had survived when many of his fellow climbers had not. ‘Pure luck’, he replied. Bonington has had his own personal tragedies too, from the death of one of his sons in a drowning accident at the age of three to Wendy’s demise due to motor neurone disease. Bonington – Mountaineer is a look back at an era of big names doing big things in a big style; of ascents at the edge of peril accomplished as often as not with a cigarette hanging from the climber’s lip; of a world where death was just a misplaced step away. It’s difficult to think of modern-day young British climbers who demonstrate the same rebellious attitude as Bonington and his comrades who are the stars of this film. Time has moved on and so has mountaineering and adventuring. There’s no over-artistic cinematography in Partridge and Hall’s film. It’s a story told straight; with subject matter such as Bonington’s life, embellishment seems inappropriate. 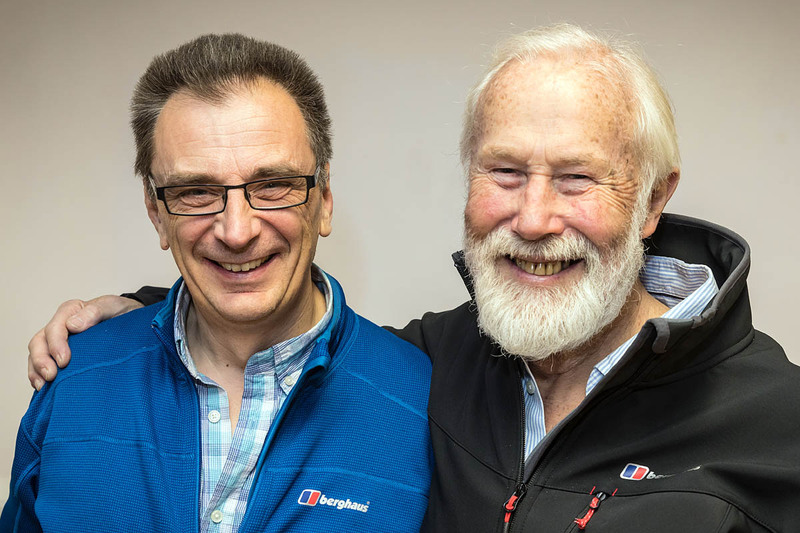 And, as with all good films, there’s a happy ending: Bonington’s marriage to McNaught-Davis’s widow Loreto and his return, at the age of 80, to climb once again the Old Man of Hoy with Leo Houlding. 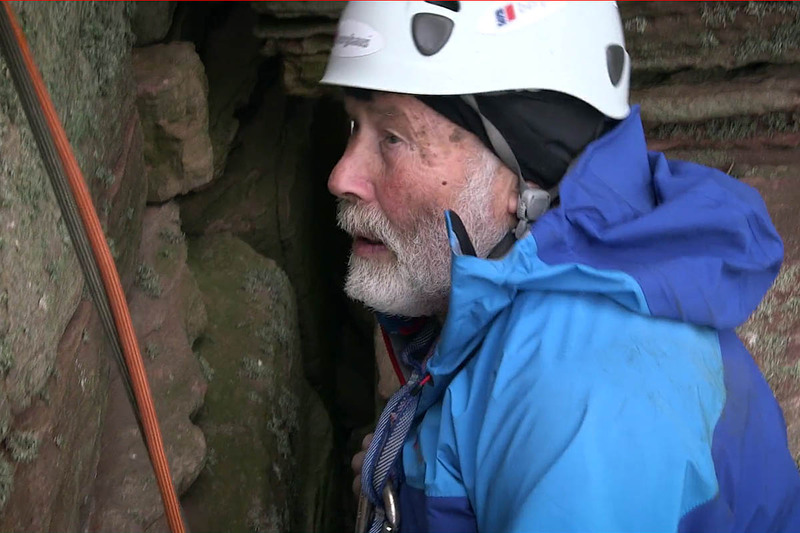 Watching a creaky octogenarian successfully climbing the vertiginous sea stack, the ascent of which decades ago held seven million television viewers spellbound, is a pertinent reminder of a golden age of mountaineering. Bonington – Mountaineer is available on DVD, price £16.95 from Amazon or Cordee or as a Vimeo download for £10.10. "Roll-call of his expedition members who never made it back." Some of those named did "make it back" from those expeditions; e.g. Tom Patey died while climbing in Scotland, not while on a Bonington expedition.